Welcome to your latest update from the Scott Innovation Hub. 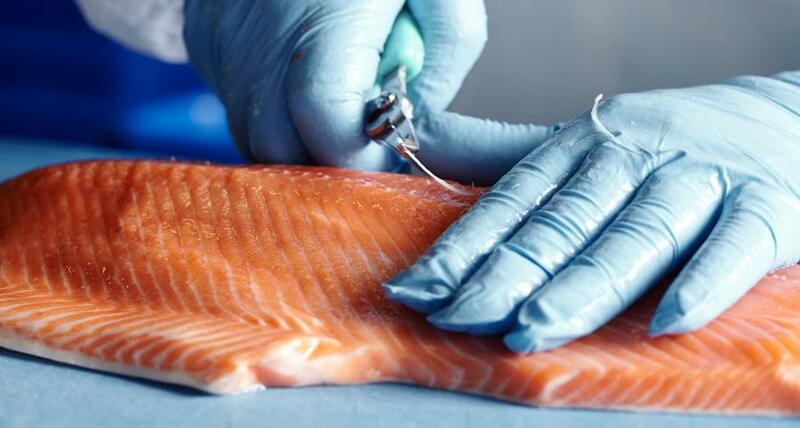 This update includes a white paper on 'The Impact of Automation', some exciting technology updates in the robotics space as well as our recent announcement regarding a Salmon Pin Bone Removal project with Mt Cook Alpine Salmon and Seafood Innovations. Labour shortage, high staff turnover, and work related accidents/injuries are some of the issues the manufacturing sectors face. As a result, automation has been increasingly used in the production process. In general, the outcomes of production automation are positive. Increased productivity and yield, decreased worker turnover and decreased work related injuries are some of the benefits to be expected. This recently released white paper summarises the results of recent research on a macro level, and provides some examples of real word applications and effects of automation. The aim is to inform on the labour force challenges we face, the benefits of automation as a solution, and the required steps companies may take to smoothly transition towards greater automation. Read the full whitepaper HERE. We are excited to launch BladeStop Connect, a package which reports operation data from our leading band saw technology. BladeStop Connect is available for both previously installed and new BladeStop systems. - A BladeStop Connect multisaw reporting package, designed to provide reports from multiple BladeStop’s. - Improved fault reporting for our primal and middle meat machines which will soon be available through our service team..
- A prototype Rocklabs ‘Connect’ device that will monitor the performance of our crushers and mills. Scott Robotic Refueling for mine vehicles eliminates human risk by removing the need for manned fuel tanks.